Conner Booker digs a hole. Solai and Pearl Smith dig their hole. The students had been studying the Louis Sachar's novel "Holes." 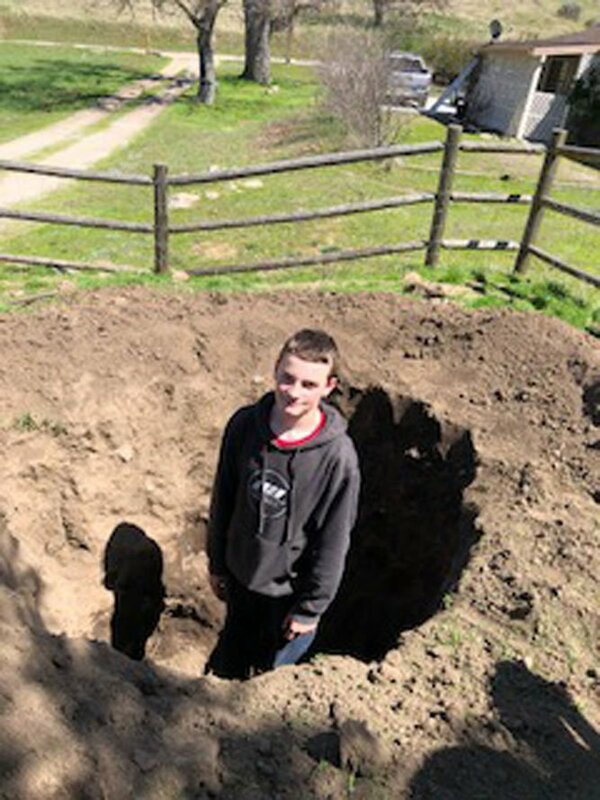 Digging a hole was Mason Booker. A few students at Valley Oaks Charter School took their reading to a new level. Their enrichment class just finished a novel unit on Louis Sachar's "Holes." In addition to studying characterization, similes, and the author's style using three different plots, these students decided to try their hand with a shovel at Stanley Yelnats' Camp Green Lake experience. One student hit granite, and another student declared that water did not help. We certainly applaud their efforts! Sue Page is an English teacher and high school advisor at Valley Oaks Charter School.